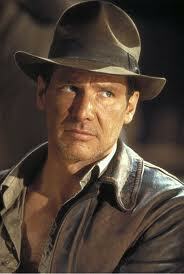 I tracked down the discoverer of the Keterot and lo and behold it was the REAL INDIANA JONES!! Mr. Vendyl Jones (YHWH rest his soul) died not too long ago though, but his foundation- The Vendyl Jones Research Institute was responsible for finding the Incense AND the Holy annointing oil that it gets mixed with. He also discoverd the only copper scroll at Qumran which he claims listed the location of 32 of the temple artifacts (if it was read diagonally) including the ARK OF THE COVENANT!! Mr Jones claimed he knew where it was buried at Qumran, but the Israeli Government stopped him from any further digs by not granting him any more permits because he wasn’t a professional archeologist. This man gave his life to this stuff. It’s such a shame that the government red tape once again rears it’s ugly head. They probably have removed it by now, now that he did all the work telling them where to find it. I’m looking into seeing who took over the project if anyone. It’s been several years ago I think and they may have just dropped the ball on the whole thing. No tellin. What a fascinating story though. I’d love to go over there and help dig, wouldn’t you? Vendyl also was the man who found Gilgal if you see my other post about this. What a spiritual man. He was truely hearing from the Lord. I hope I can get in contact with somebody at the foundation or one of his daughters or son. I think they are living in Israel last I heard. If anybody has any more info about this drop me a comment. Thanks. PS- Jones never got a dime from the movie either. George Lucas claimed he named the character Indiana Jones after his dog! Posted on January 28, 2013, in Bible Archeology, Book of Revelation, Messianic Movement and tagged Ark of the Covenant, Real Indiana Jones, Temple Artifacts, Vendyl Jones. Bookmark the permalink. Comments Off on Vendyl (AKA Indiana) Jones.